North Richmond Joint Venture has contributed more than $2 million aimed at improving traffic congestion for the local community. The contribution of $2.26 million will be for the Bells Line of Road, Grose Vale Road Intersection Improvement Works being undertaken by Roads and Maritime Services. “North Richmond Joint Venture is pleased to be working with the State Government and Council to provide this funding for works which will assist the community by helping to ease traffic congestion on local roads,” said North Richmond Joint Venture Business Development Manager, Jock Douglas. “This investment forms part of North Richmond Joint Ventures’ contribution of more than $55 million on additional local infrastructure improvements including roads, pathways, parks and amenities,” Jock Douglas said. North Richmond Joint Venture provided monetary contribution towards the local intersection improvement works, as part of the Voluntary Planning Agreement endorsed by Roads and Maritime Services and Hawkesbury City Council. This contribution is in addition to the $18 million currently being spent by Roads and Maritime Services aimed at easing traffic congestion. 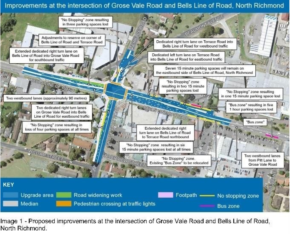 The New South Wales and Federal Governments have been working towards reducing congestion currently being experienced at the intersection of Bells Line of Road and Grose Vale Roads. Further community consultation was recently undertaken regarding the proposed upgrades and potential loss of parking on Bells Line of Road. Roads and Maritime Services has announced that they will be proceeding with their original proposal without change. This is great news for existing and soon to be residents of North Richmond, as the intersection improvements will assist with managing traffic congestion and providing travel time improvements between North Richmond and Richmond. Construction at Redbank’s first release Yobarnie Rise precinct has shifted up a gear with more than 45 homes now underway and many also ready to commence construction. Some of Sydney’s largest and most successful builders are strongly represented at Redbank and it is now an exciting time for residents and the community alike. 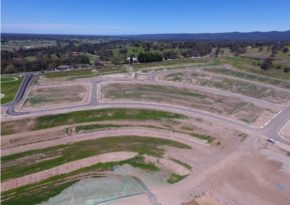 Cunningham Custom Homes Director, Tony Cunningham, has purchased several blocks of land in the Yobarnie and Yeomans precincts and will soon be starting work on a number of luxury homes. 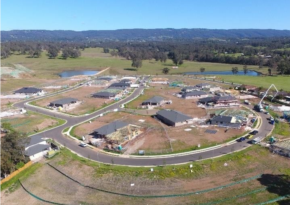 “Being a local builder located in North Richmond, this subdivision complements our style of homes with a mix of residential and acreage blocks with open parklands, which is attracting young families to the area” Mr Cunningham said. Mountain View precinct was recently awarded Practical Completion by Hawkesbury City Council and landscaping has now commenced. This means concrete footpaths, turf verges and street trees will be installed over coming weeks. Landscaping is expected to take approximately eight weeks to complete, subject to weather conditions. Purchasers within Mountain View and The Gallery were recently advised of a delay to registration, due to a drinking water issue, which is currently being addressed. Registration is now anticipated to take place between December 2016 and March 2017. Since notifying purchasers of this delay, our Sydney Water accredited services coordinator Qalcheck and water engineering specialists AECOM have lodged a detailed design for a water main extension for approval with Sydney Water. Belmont purchasers were advised of a delay to registration of their lots. Registration is now anticipated to take place in the last quarter of 2017. We are currently in the process of executing a civil construction contract, obtaining a construction certificate from Hawkesbury City Council and final approvals from various service providers. The complexity of gaining these approvals has caused unforeseen delays. Given the sensitive ecological and heritage elements within the Belmont precinct, initial site works and dam decommissioning will start before the end of 2016. Once the water and sewer infrastructure for the precinct is approved, we can then proceed with installation and commence the civil construction works. This process has taken much longer than anticipated, and we are working with authorities to commence civil construction as soon as possible. Our team will be in contact with any affected buyers to discuss this in more detail. Currently we have nine blocks remaining for sale with a starting price of $595,000. The majority of purchasers to date (79%) have been upgraders while 5% have been first home owners. 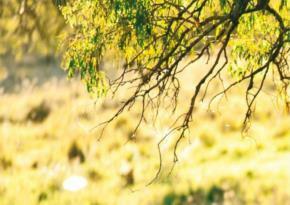 Buyers have predominantly come from the Hawkesbury, Hills and Blacktown areas. The Gallery precinct has achieved 60 house and land packages sales, with four remaining for sale. With the medium Sydney home now costing $995,000.00, The Gallery has been very popular with downsizers and first home owners. The Gallery has a price point averaging just over $600,000 for a custom, architect- designed three and four-bedroom home and this is unmatched in the Sydney market. A breakdown of buyers has seen first home owners and investors equally represented with 33% of sales each, while upgraders and downsizers were each responsible for 17% of sales. To assist in construction commencement, North Richmond Joint Venture has provided McDonald Jones Homes with relevant service plans, geotechnical reports and Development Applications. 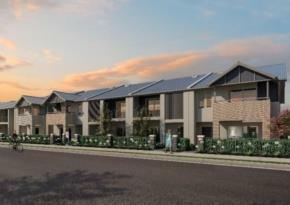 Recently, 11 Development Applications for lots backing onto the adjacent RSL Lifecare Village were called up for review by Hawkesbury City Councillors. North Richmond Joint Venture has taken action to have this matter heard in the Land and Environment Court. We are currently awaiting a hearing date and will provide further updates as more information becomes available. Registration for The Gallery is anticipated to take place in December 2016. North Richmond Joint Venture has submitted a Development Applications for Yeomans precinct to Hawkesbury City Council in March 2016. The Development Proposal includes sites for Redbank’s proposed Child Care Centre, a retail shopping centre, active playground for the family, large heritage water feature, the first stage of a bicycle path network, and the master entry to the estate off Grose Vale Road. Council, in responding to the Application, requested additional information in relation to civil, geotechnical, landscaping, heritage, environmental and traffic impacts. We have made final updates to the information provided and the Development Application is now ready to be considered by the Joint Regional Planning Panel – West. We anticipate a date to be advised for this review in the coming two weeks. Multiple tenders have been received for the purchase of the child care site and a detailed retail centre report has been conducted to identify the best mix for Redbank’s neighbourhood centre. A total of 113 blocks have been sold in Yeomans this year with an average price of $425,000. Purchasers have predominantly come from Blacktown, Hills and Hawkesbury. under a Part 5 Application. 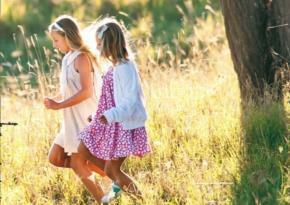 The tender process has been finalised for Redbank’s on-site Childcare Centre. be created during Redbank’s construction phase. to live within the estate.